Don’t confuse an oversized scarf with a blanket – OK, we can see how it happens, especially if you drape it over your shoulders, but wrap it around (and around) your neck and you’ll realise that no blanket ever rocked like this. 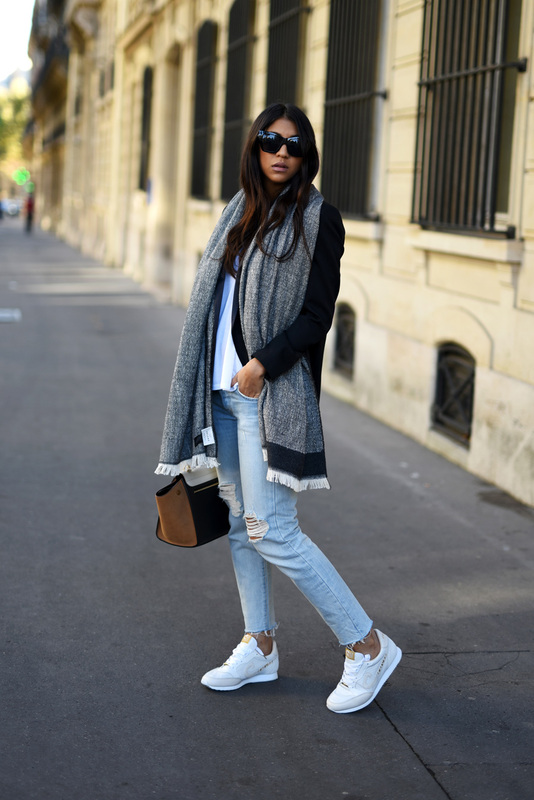 Comfort is the keyword on the streets right now, and it’s the oversized scarf that is trending for winter 2015. Anyone watching the runways might have guessed that this would follow on from the current knitwear trend. Choose chunky wool or classy cashmere in neutrals or classic colours, bundle yourself up in a faux-fur version, and have fun in flannel. Speaking of which, we’re in love with the reversible tartans, which look great teamed with simple boyfriend jeans, booties and blazer. Play the layers game with one scarf around your neck and the other loosely arranged across your back. Or is that a poncho? No, not this time, although textures and prints are interchangeable, with cable knit, patterns, prints and plaid – now, that really will have you thinking blankets. Make full use of the plethora of clan colours and designs, and don’t be afraid to mix them. 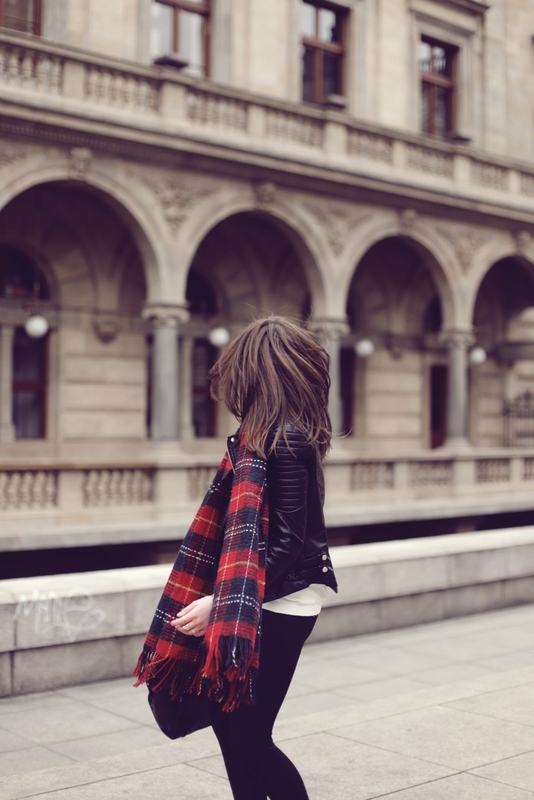 Throw a huge tartan scarf over a black leather jacket, or cool things with off-white and taupe. Casual and impromptu work best here. Style your scarf as a classic wrap, double loop or braided knot, adopt a sophisticated wrap, or stick to the simplicity of the never-ending infinity shape. However you work it, an oversized scarf can’t help but be a big part of your outfit, so reverse conventional wisdom (you’re always keen to do that, right? 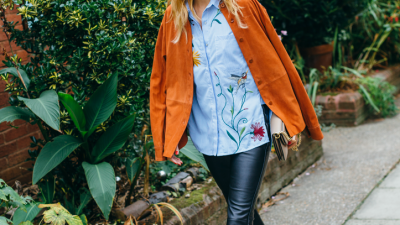 ), and work your wardrobe around this statement piece. 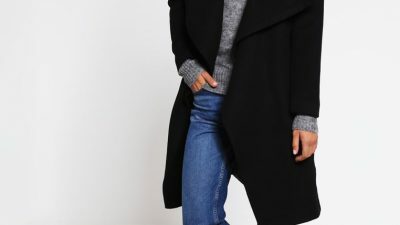 Pair an oversized cable knit with jeans, parka and combat boots and you’ll be the warmest fashionista ever. Layer with ever-deepening shades of the same colour, contrast light and dark, or try white or cream with pastels. Let your scarf cosy up to a kimono, or introduce it to leather pants. 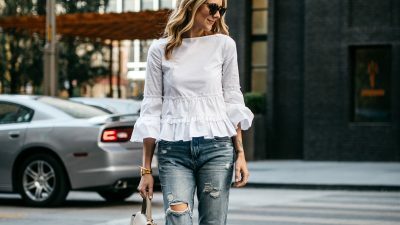 Wear with heels to balance the look, and pull on a beanie, or top a really large scarf with a fedora. Achieve boho-chic with a huge knit around your shoulders, and finish with ripped jeans. 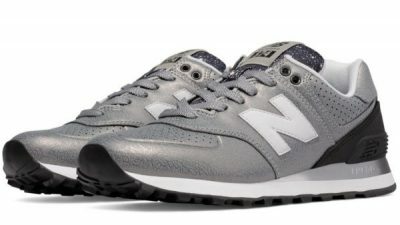 Runways everywhere have been flaunting the look. Burberry got in on the act, and at Osman, evening dresses offset the chunkiness nicely, while Prabal Gurung reached the same result with bare-legged models. With so much choice, the oversized scarf trend is just huge. Wear the plaid trend on your oversized scarf to both keep it casual and brighten up your outfit. This white and red design worn by Christine Andrew makes a great addition to an otherwise simple outfit. Top: Old Navy, Trousers: Nordstrom, Scarf: Ily Couture. 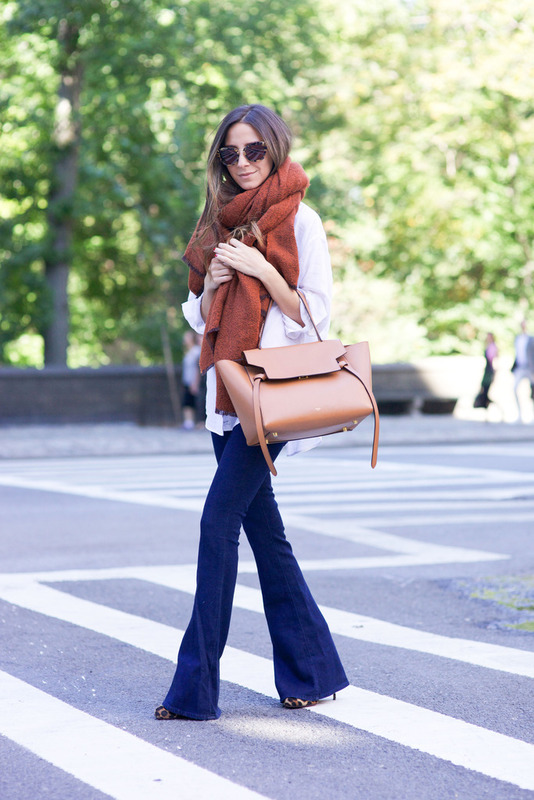 Arielle Nachami wears an oversized rust coloured scarf with ultra cool denim flares and leopard print heels. Jeans: L’Agence, Shirt: Elizabeth and James, Scarf: Zara, Bag: Celine, Sunglasses: Miu Miu. 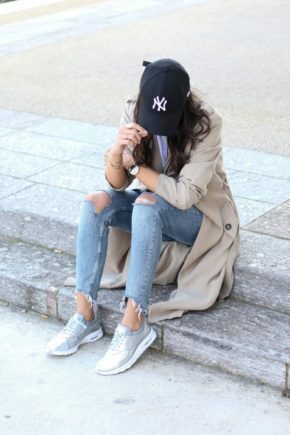 Kayla Seah pairs an oversized scarf with washed out denim jeans and a pair of fresh white trainers; a casual but stylish look. Emilie Tommerberg wears authentic oversized scarf with white trousers and a statement bag. Scarf: By Malene Birger, Dress: H&M.